For a general map of Peloponisos, click here!(40K). 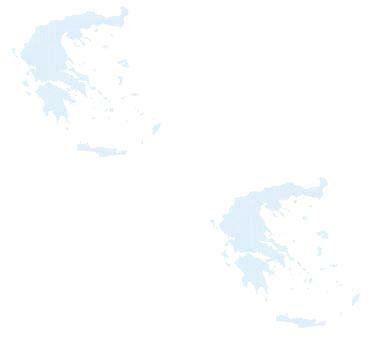 For a map of the Korinthos area, click here(95K). Overlooking the Korinth gulf, Akrokorinth was established on top of a hill and is a site of wonderful ancient ruins, temples and housing. 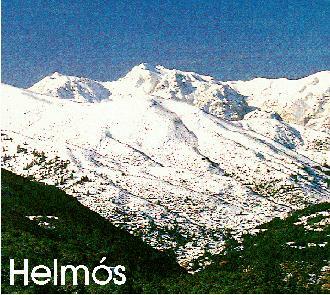 For those on foot, it is a steep climb up a hill, or for the rest of us, a bus is available from Corinthos town (you can get to it via train from Athens). 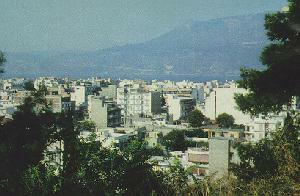 The Korinth Canal joined the Saronic Gulf with the Korinthian Gulf in 1893. However it had been thought of as early as 600 BC by Periander. Since in those days the technology was not yet available, and wouln't be for 2000 years, ships were rolled from one gulf to the other on specially designed 'roller skates.' The Canal has a length of about 6.2 km (about 4 miles), and the width is about 25 meters (about 70 feet). Height from sea level reaches about 80 meters (about 240 feet) at places. Apart from the canal, the other important claim to fame, is the 'Souvlaki' places where a souvlaki on a stick, with a slice of bread, will set you back DRA 170. A great and cheap way to fill an empty stomach. Another highlight, is the small rown of Isthmia, because here you can take a tiny, wooden cable-pulled single car barge to cross the Korinth canal. Many people dont know this, but it gives you the best pictures of the canal itself. The cost, about DRA 150. A small port on the Saronic gulf, located on the same spot as Ancient Kehries, the second port of Korinth (the other one faces the Korinthian Gulf), ruins of which are found in the water, and can be examined by snorkelers. Small town named after six roman windmills, ruins of which are found nearby. A nice seaside village with camping facilities full of pine forests that go all the way to the sea. Further on, going eastwards, are additional gulfs and bays as well as the Island of Ovrios, adorned with a sea cave. 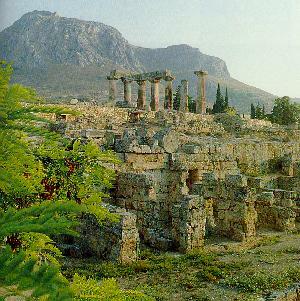 Nemea is a lovely old town famous for two things: its extensive archaeological site and its wines. Many a retsina come from Nemea, as the sign on the bottle says! 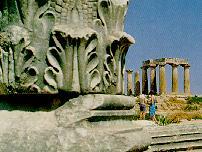 Archaeological artifacts include standing columns, the temple of Dia (aka Zeus), and many other architectural delights. 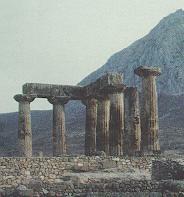 The athletic games of Nemea take place here every two years. In the nearby hills, the Lion cave can be found, so called because it is there that Heracles erred when he killed it. Village found in the footsteps of Farmaka mountain so called because of the many botanical herbs that grow on it(Farmako translates to medicine). 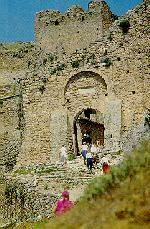 Also found near the village is the monastery of the Virgin Mary of Farmaka. A famous lake, found west of Korinth which in ancient times, through an ingenious method built by Hadrian, fed water to Ancient Korinth, a distance of more than 65 km (40 miles). Parts of the ancient aquaducts are visible today. A lovely town full of fields with sunflowers and vineyards. Many hotels and restaurants are in evidence and the beaches are quite crowded in the summer. An ancient site, relatively near the Korinthian Gulf, which reached its height when governed by the tyran Orthagorides, around 600 BC. It was a very rich town, excelling in commerce centered around metalworking, painting and pottery. It was destroyed in 300 BC and subsequently re-built nearby. A town on the korinthian gulf, with many hotels, restaurants and tavernas. During the summer it becomes a Hellenic assembly point.